Located in a quiet residential area of Cagliari in front of Our Lady of Bonaria Church and close to the Exhibition Centre and the Sportive Area (swimming pools, athletic stadium, footbool stadium, hockey stadium, etc.). Located in a quiet residential area of Cagliari in front of Our Lady of Bonaria Church and close to the Exhibition Centre and the Sportive Area (swimming pools, athletic stadium, footbool stadium, hockey stadium, etc. Old city centre and major tourist attractions are just 10 minutes away. 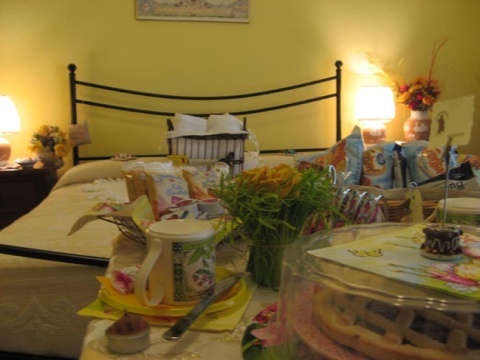 Cerdena Rooms has been recently renewed and furnished in a typical modern Sardinian-Mediterranean style. Every room is equipped of private bath, air conditioned, frigobar and TV. Moreover it is possible to have use of the comfortable ones terraces as angle of relax, in which being able to consume the breakfast. Upon request, we carry out airport transfers, visits guided of the city of Cagliari, washing of the linen.